The 2018 Open Call for Books is closed. Check back here for future opportunities! 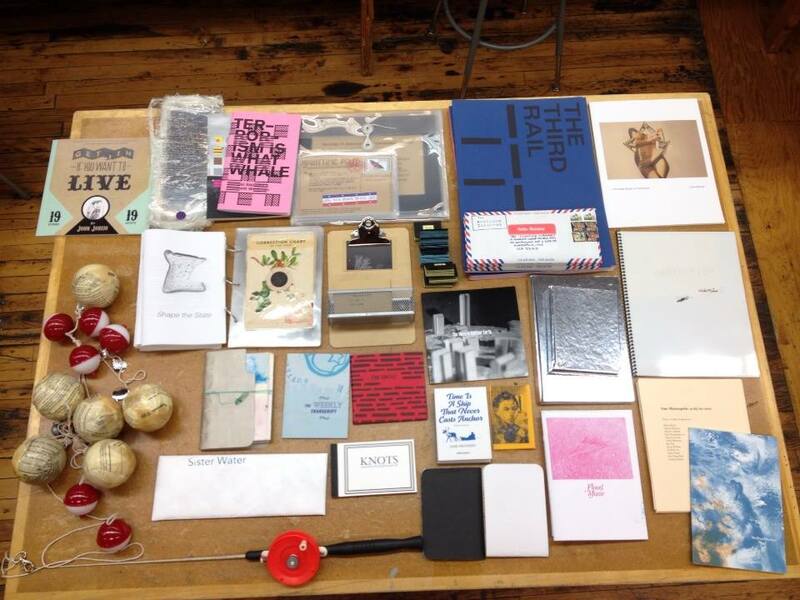 Book artists, zinesters, bookish graphic designers, comics drawers, chapbook-penning poets, and printed matter-makers of all stripes are invited to submit books for inclusion in the collection of the Floating Library. What is the Floating Library? It is a public art project that introduces artists’ books and printed matter to people recreating on an urban lake. Read more about it on the other pages of this site! Works designed especially for a lake-based library are encouraged, including waterproof pages, books that can get wet, books that float, etc. Imagine the possibilities! Content: This year the FL is particularly interested in these themes: immigrant histories and lives, homelands, and relationships to water in all forms. We accept works with all kinds of themes and ideas, however, don’t be discouraged if your book does not address these topics. We’re also interested in kid-friendly artists books. Unique but durable forms: We love unique book forms and crazy methods of printing and binding. Get creative with the copy machine and book board! Sturdy books and zines tend to fair better due to wind and lake spray. Your 3-foot long accordion fold book may be hard for boaters to read. Duplicate copies: Due to storage and display space limitations, we can take up to 2 copies of each accepted book. One-of-a-kind books are also welcome! But please note the risks listed below. Also, please note: Works that are truly inappropriate for a library on a public lake that serves everyone will not be accepted. What happens to my book / printed matter after the Floating Library ends? All materials accepted through the Open Call join the collection of the Floating Library. If accepted, you agree to donate your work to the Library in perpetuity. * Works in the collection are shown year after year and become beloved by Library patrons. *If you have a special circumstance, let’s talk (thefloatinglibrary@gmail.com). Still up for it? Great! To submit a proposal, please use this handy form here. Where is the Floating Library this summer? How does the Floating Library work? The Floating Library is a custom-designed raft with bookshelves built to hold printed matter for perusal on the water. People in canoes, kayaks, paddle boards, skiffs, rowboats, or other watercraft paddle up and browse the shelves from within their boats. Patrons may check out books to read while at the lake, but must return items either to the Library’s raft of the book deposit box on the beach. Overnight checkouts are not allowed. The check-out system is honor-based, but it’s Minnesota (land of volunteerism and participatory civic engagement) so we hope for the best in this regard. All materials are transported in waterproof bags.